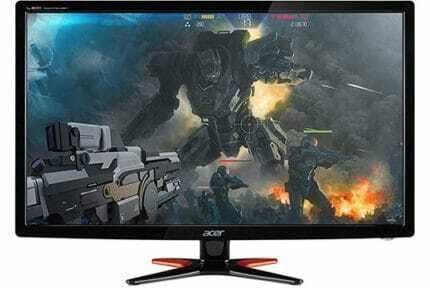 The Acer XFA240 is one of the many 24″ 1080p 144Hz 1ms gaming models available, however, it’s the only such monitor that’s G-SYNC compatible after installing NVDIA’s 417.71 WHQL drivers. The monitor is based on a TN panel with a 350-nit peak brightness, a 1,000:1 static contrast ratio, 8-bit color depth (6-bit + 2-bit FRC), and 160°/170° viewing angles. Other specifications include 1080p resolution which on the 24″ screen of the Acer XFA240 monitor results in a sharp and clear picture quality. Naturally, 1440p or 4K would provide you with significantly more details and screen space, but it would also be more demanding to drive at 144Hz whereas 1080p isn’t too taxing on your CPU/GPU allowing you to reach higher frame rates. While TN panel monitors don’t have as vibrant colors nor as high contrast ratio as IPS and VA panels respectively, they do offer the best response time speed of only 1ms. Such quick response time allows the pixels to change from one color into another almost instantaneously which, in turn, removes ghosting and motion blur in fast-paced games. When you add the 144Hz refresh rate to that, you get an incredibly responsive and engaging fast-paced gaming experience. The Acer XFA240 input lag amounts to ~6ms which is fit for professional gameplay as there’s no perceptible delay between your commands and the result on the display. Note that the backlight of the monitor is flicker-free as it doesn’t use PWM (Pulse-Width Modulation) to regulate brightness, so you don’t have to worry about headaches if you’re sensitive to flickering. There’s also a low-blue light filter which, when enabled, eliminates the harmful blue lights and prevents eye strain. If you have an Adaptive-Sync (FreeSync) compatible graphics card, you’ll be able to utilize the full potential of the Acer XFA240 144Hz gaming monitor. The FreeSync technology removes screen tearing and stuttering by allowing the monitor to change its refresh rate according to the GPU’s frame rates thus providing you with a variable refresh rate (VRR). Note that VRR works with most of AMD and certain NVIDIA (GTX 10-series and RTX 20-series) graphics cards. The Acer XFA240 VRR range for AMD cards is 48-144Hz/FPS (Frames Per Second) over DisplayPort and 48-120Hz over HDMI. For NVIDIA cards, VRR is supported only via DisplayPort with a 48-144Hz range. AMD LFC (Low Framerate Compensation) is also supported which means that even when your FPS rate drops below 48 and FreeSync stops working, the display’s refresh rate will double or triple the frame rate for a smoother performance. There are six monitor hotkeys at the bottom bezel which can be used as shortcuts for the following functions: swapping between the Game modes, adjusting the Overdrive setting, opening the OSD (On-Screen Display) menu, changing the input source, adjusting the volume, and turning the monitor on/off. 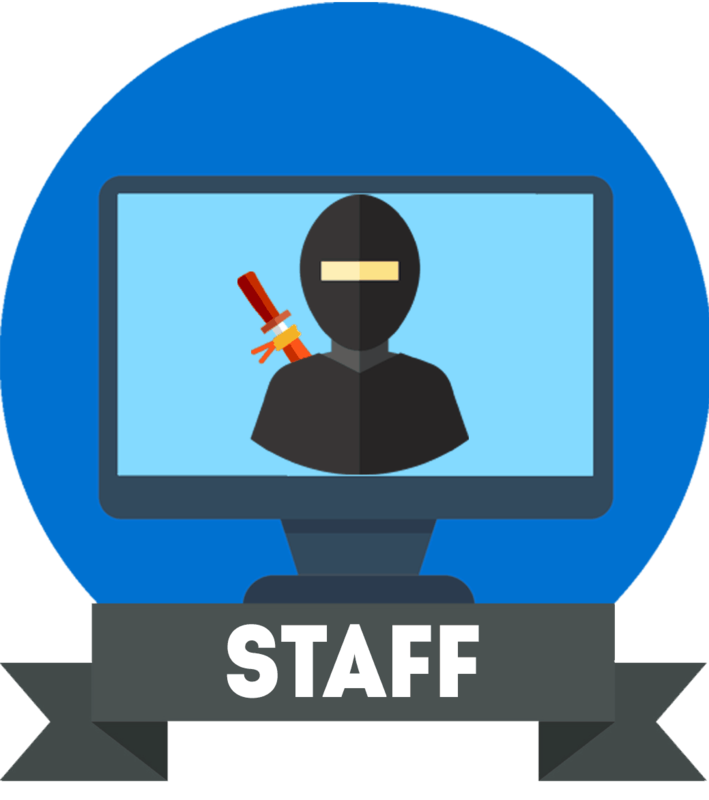 The Game modes include three customizable profiles where you can save and edit your settings. 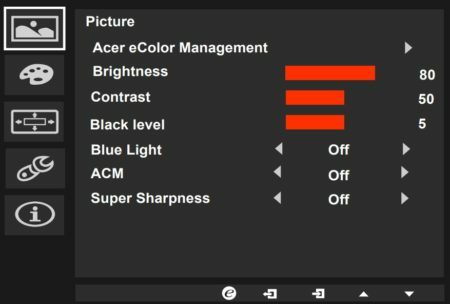 The Acer XFA240 also offers advanced picture adjustments such as gamma presets and 6-axis hue/saturation. Other gaming features include ‘Black Level’ for better visibility in darker games and ‘Aim Point’ which consists of customizable crosshair overlays. The Acer XFA240 display offers full ergonomic support with up to 150mm height adjustment, -5°/35° tilt, 90° pivot, and +/- 60° swivel. It’s also VESA mount compatible with 100 x 100mm holes. Connectivity options include DisplayPort 1.2, HDMI 1.4 with MHL, and Dual-Link DVI-D. There are also two 2W built-in speakers and a headphones jack. 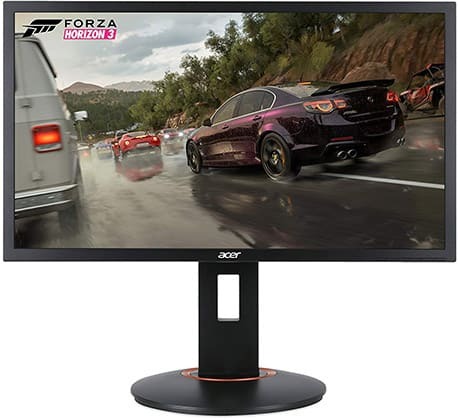 The Acer XFA240 price amounts to $199 which makes it one of the best gaming monitors under 200 USD due to its excellent design quality, performance, and features for the money. Alternatively, you may be interested in the AOC G2590FX which is also a 1080p 144Hz 1ms G-SYNC compatible gaming monitor but with a slightly larger 24.5-inch screen. 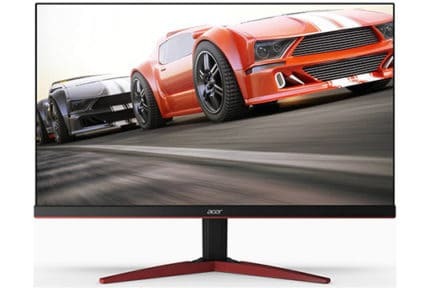 Note that alongside the Acer XFA240, there’s also the Acer XF240H model which is essentially the same monitor though it only supports FreeSync over DisplayPort, and it’s not G-SYNC compatible. For CRT-like motion clarity, check out the LG 24GL600F and the BenQ ZOWIE XL2411P which have a backlight strobing capability that further eliminates motion blur. Lastly, you may want to consider the AOC C24G1 which is also a 24″ 1080p 144Hz gaming monitor but with a curved VA panel. It offers a much better picture quality, but not as smooth performance in fast-paced games. 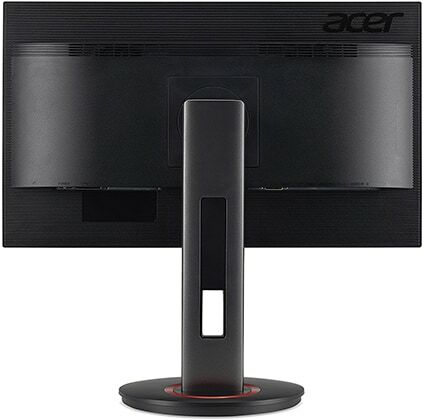 The Acer XFA240 is the cheapest 24″ 1080p 144Hz 1ms gaming monitor that provides a variable refresh rate for both AMD and NVIDIA compatible graphics cards. On balance, it’s the best 144Hz gaming monitor for the money. 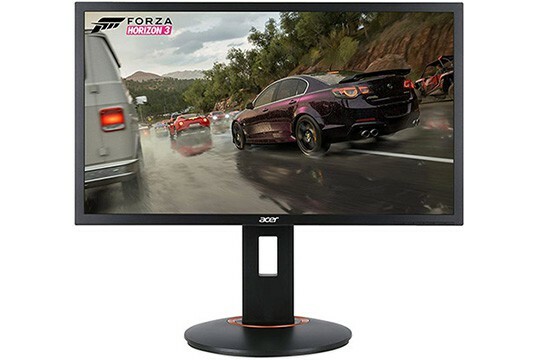 The Acer XFA240 is an affordable 24" 1080p 144Hz 1ms gaming monitor with a fully ergonomic design and plenty of gaming features including AMD FreeSync and G-SYNC compatibility.